NEWS: Development of a virtual histology slide box. Image: The virtual histology slide box and viewer – a resource that holds fantastic potential for BIOSI teaching, research and public engagement. Ghaznavi et al (2013) Digital imaging in pathology: whole slide imaging and beyond. Annu Rev Pathol Mech Dis 8: 331-359. Hamilton et al (2012) Virtual microscopy and digital pathology in training and education. APMIS 120: 305-315. This entry was posted in news and tagged equipment, news on November 9, 2015 by Anthony Hayes. EQUIPMENT: New Bitplane Imaris workstation for advanced 3D/4D image processing. Image: Screenshot of the new Imaris software showing a surface-rendered model of an insect’s compound eye. The Bioimaging Research Hub has recently purchased Bitplane Imaris software for Cell Biologists, together with a high-end PC workstation, via generous funding from the Research Infrastructure Fund (lead applicant: Dr Walter Dewitte). 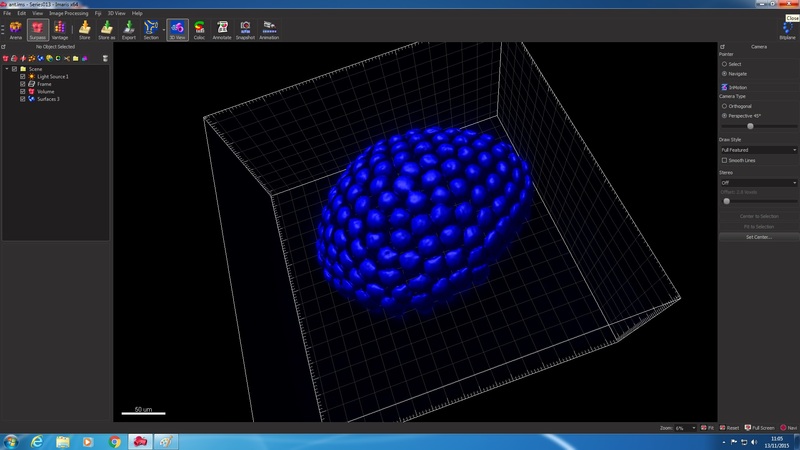 The software provides advanced processing options for confocal and multi-photon 3D/4D datasets and includes the following modules: Measurement Pro, Imaris Track, Imaris Cell, Imaris Coloc, Imaris XT and Imaris Vantage. Further details of the system are available via our equipment database. This entry was posted in equipment and tagged equipment on November 9, 2015 by Anthony Hayes. EQUIPMENT: New, state-of-the-art, confocal laser scanning microscope with super-resolution capability. The BIOSI Bioimaging facility has recently expanded its imaging toolbox with a new, state-of-the-art confocal microscope system, that was purchased through generous funding by the Research Infrastructure Fund (Lead Applicant: Dr Walter Dewitte). The system, a top-of-the-range Zeiss LSM 880 upright confocal microscope, features the advanced Airyscan super-resolution detection module which provides a 1.7x gain in resolution in all three dimensions compared to conventional confocal optics. 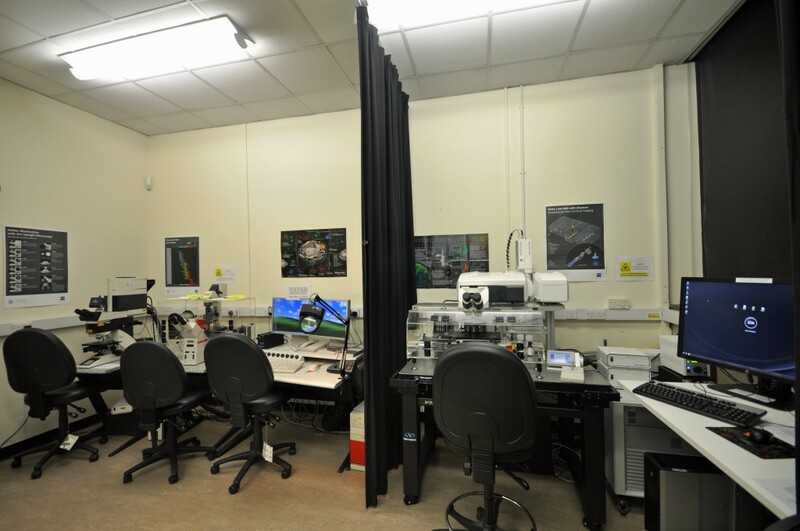 The system also supports advanced fluorescence techniques including FCS (fluorescence correlation microscopy) and FLIM (fluorescence lifetime imaging (FLIM) – the FLIM module will be installed during the first week of December. Further details here.